Tellabs offers one of the more advanced multiservice transport switches that can serve as a digital cross-connect switch to provide large communication hubs the ability to groom and tailor bandwidth allocation to a variety of different outbound cable requirements. The Tellabs 6500 MTS is a protocol-independent central office networking switch system that is part of the larger TITAN family from Tellabs. The optical networking switch system is a reliable, scalable platform that can terminate SONET facilitates and international SDH facilities while providing you with the bandwidth management that you need to grow. Refurbished Tellabs 6500 units provide flexibility for a variety of network deployments but do so at an affordable rate that’s right for growing companies and those looking to expand core and advanced services to new customers. You can improve where you need without overextending your budget thanks to a used Tellabs 6500 from Worldwide Supply. A used Tellabs 6500 TITAN MTS can be configured to operate as a single point of remote control for service providers to deliver broadband provisioning to better contain and control your network. You’re also giving yourself a clear path to managing and restoring networks that operate between customer locations and a public network. The system is designed with a single switch matrix that is self-routing and non-blocking, allowing it to support SONET and SDH data switching applications. With load-sharing processors and significant fault-tolerance design, you’ll be back up and running in less than one second when there is a failure in any administration processor, memory or drive. 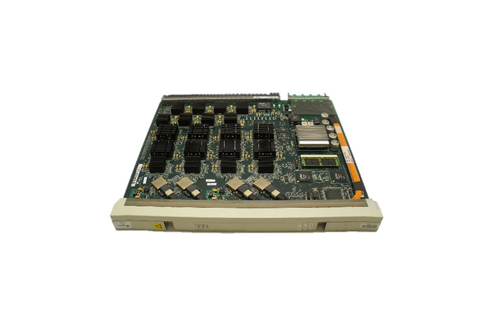 Find the perfect refurbished Tellabs 6500 from Worldwide Supply and get your network where it needs to be.